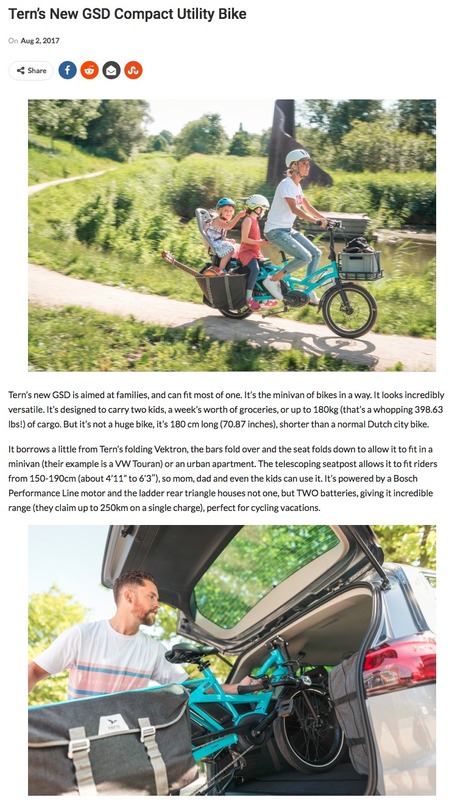 Tern’s new GSD is aimed at families, and can fit most of one. It’s the minivan of bikes in a way. It looks incredibly versatile. 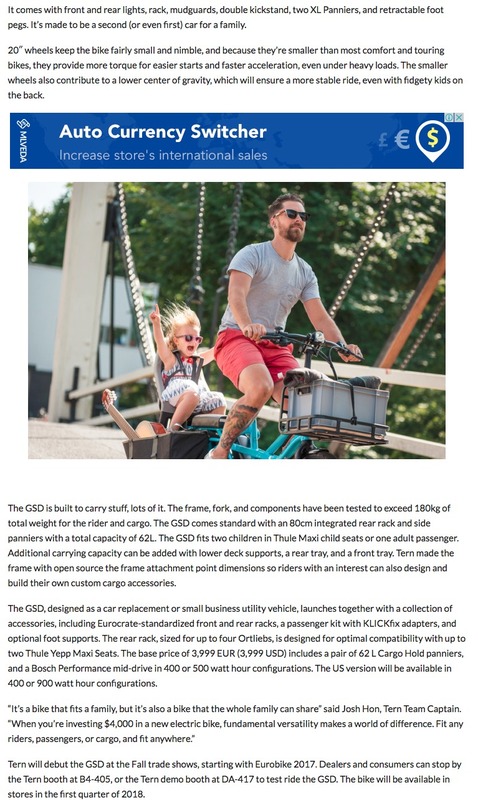 It’s designed to carry two kids, a week’s worth of groceries, or up to 180kg (that’s a whopping 398.63 lbs!) of cargo.